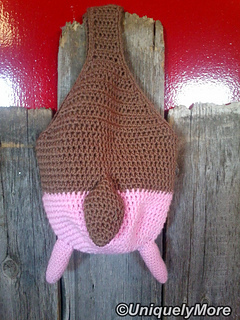 As a dairy goat farmer we spend a lot of time looking at a goats udder, so I thought want better then an udder bag! 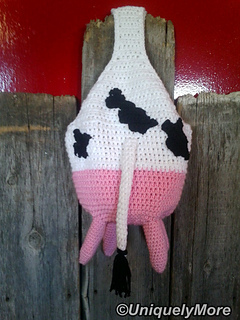 Udderly Fantastic Bag Crochet Pattern, Instant Download. 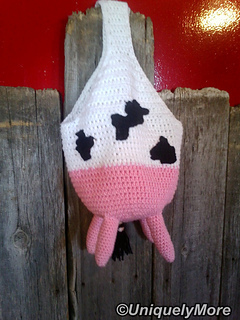 Includes instructions on how to make it a cow or a goat. About 24 inches around or 12 inches across when laying flat. Ch 12, sc in 2nd ch from hook and in each st across, do 11 rows. 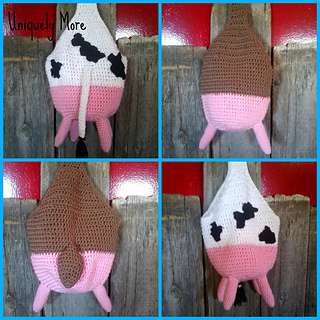 Please do not copy, re-write, re-sell, or distribute this pattern or the pictures. 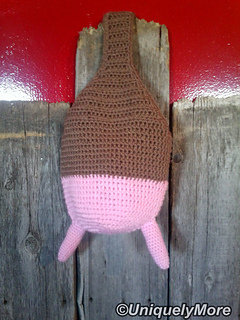 Finished items (the item you make from this pattern) may be sold, but please credit to me and my store.